Our client is a leading industrial logistics real estate firm located outside Chicago in Romeoville, Illinois. The company specializes in the acquisition, development and leasing of high-quality distribution assets. 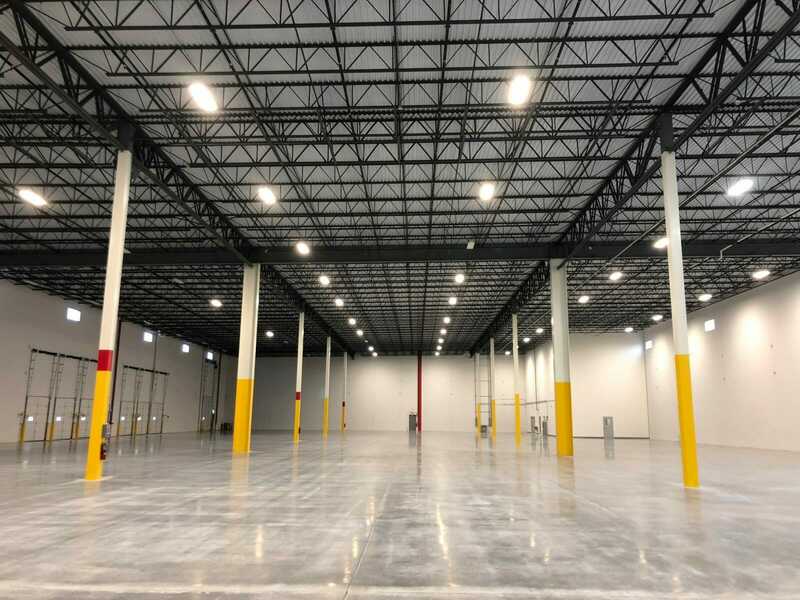 The client needed an effective lighting system with varying light levels in their newly constructed warehouses, which have a combined square footage of more than 1.2 million. A socially responsible company, the client wanted a sustainable solution that would minimize environmental impact. For ideal light levels and minimal energy costs across the entire 1.2 million-square-foot space, FSC chose the LEHB Series LED High Bay. In addition to providing clean, bright light, these LED lights require little to no maintenance and can operate for more than 120,000 hours. We further improved energy use and reduced costs by incorporating smart occupancy sensors in each fixture that will automatically turn lights off when the warehouse is not occupied. We also incorporated our newly patented PowerPlus technology, which transforms lighting fixtures into power ports for almost all IoT connected devices. Thanks to the PowerPlus module, the client was able to power their RFID readers and have the option to integrate security cameras, WiFi hotspots and outlet connections.